When a watch brand is collaborating with an artist, they take a considerable wrist. Artists are by nature free-spirited people who have a vision of how their work should look, and when they get free reign over a watch, the DNA of the brand itself can be greatly compromised. 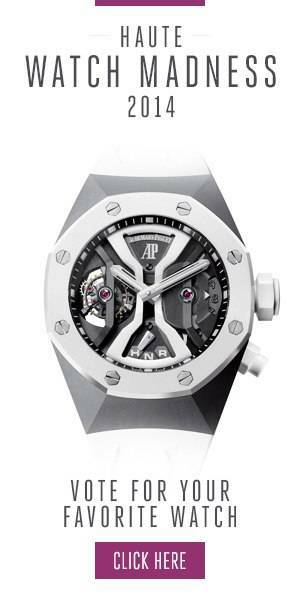 Hublot was also exposed to this risk when they collaborated with Richard Orlinski, and while his design did give them some production challenges. Those production challenges are mainly caused by the extensive modifications that were needed to change a regular Classic Fusion Aerofusion Chronograph into an Orlinski. In fact, the watch is hardly recognizable as a Classic Fusion Aerofusion anymore, yet it can still only be confused for a Hublot. The brand and the artist reached a synergy by combining forces, which resulted in something that is part watch, and part artwork. The case of this Classic Fusion Aerofusion Chronograph Orlinski is crafted from titanium which is polished to perfection. It has become a trademark look of Orlinski to create objects with a lot of planes and edges with a polished finish. His design allows for a natural integration of the chronograph pushers, as well as becomes a symbiosis with the open worked dial, under which we can see part of the movement. How much changes Hublot had to make on the Classic Fusion Aerofusion Chronograph to accommodate Orlinski’s ideas also becomes clear from the back of the watch. Here form meets function and do we see how all the case elements, as well as the strap, are secured. The movement itself is Hublot Caliber HUB 1155, a skeletonized, two-register chronograph with a date function and a power reserve of 42 hours. It forms the heart of a functional piece of art that came to life thanks to the considerable talent of both Richard Orlinski as well as Hublot, and highlights that the ‘Art of Fusion’ knows no boundaries!